Robots for house construction. It’s one way of meeting the current shortfall of housing stocks and skilled builders. Outside of plans for offsite manufacturing (or pre-fab housing), it might also go some way to meet the increasingly ambitious target of 100,000 homes being built for first home buyers over the next decade by the New Zealand Government. A new video out of Japan this week shows a prototype robot that’s been designed to work on construction sites. Maybe it’s not quite there yet but it’s a look into what potentially could be rolled out. It demonstrates the potential for the future use of flexible humanoid robots on building and construction sites. Brick laying robots however are now here. We covered some of the early developments in this newsletter outlining progress by Perth-based robotic technology company, Fastbrick Robotics. 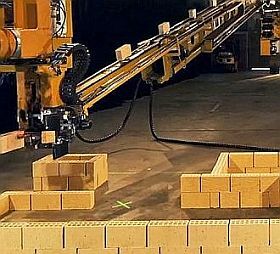 The one-armed robot bricklayer (working day and night, laying up to 1000 bricks an hour) has now demonstrated its commercial abilities. The first building, a 180 square metre three- bedroom house, has just been built in under three days (yes – you read that correctly). It’s being described as a milestone by its Perth-based creator and a "world first". So, the technology is now up and running. 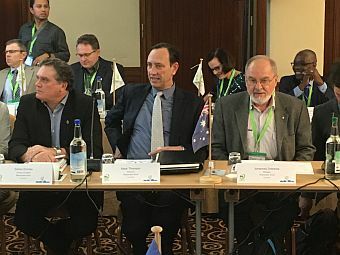 Also, from Australia this week, announcements have been made by the Federal, Tasmanian and South Australian Governments that nearly AU$9 million in combined funding and industry support is being supplied for the inaugural round of forestry research projects, through the National Institute for Forest Products Innovation (NIFPI). A wide range of projects in this first round have already been identified for both the Launceston and Mt Gambier NIFPI centres. With regular announcements now being made on completion of large engineered timber building projects in Australia, another one, has made it into the media this week. It’s the 52-metre-tall office tower called 25 King that has just been opened in Brisbane. It’s the tallest engineered timber building in Australia and it’s just one metre shy of the world’s tallest timber building, Brock Commons in Vancouver, completed in 2016. On that good news, enjoy this week’s read. Construction robot the future of building? A 52-metre-tall office tower made of engineered timber, designed by Bates Smart, has opened in Brisbane. The timber tower, dubbed 25 King, is the tallest engineered timber building in Australia. It is just one metre shy of the world’s tallest timber building, Brock Commons in Vancouver, designed by Acton Ostry Architects, which was completed in 2016. Engineered timber was used throughout 25 King, with a six metre by eight metre grid of exposed glue-laminated timber (glulam) columns with cross-laminated timber (CLT) cladding, as well as CLT flooring. The building features open office spaces across 10 floors, with exposed services. The offices make up the largest gross floor area for an engineered timber building in the world. Philip Vivian, Bates Smart director, said, “Each time an engineered timber project completes, architects learn more about CLT’s potential as a new building material and how we can work and innovate with it on all types of buildings. “This building marks a genuine commitment to CLT from the industry. It’s exciting to see the ideas take hold and evolve across the globe, and we’re happy to contribute with the lessons we’ve learned.” The building targets a six-star Green Star rating and a five-star NABERS Energy rating. The previous building to hold the title of tallest timber office building in Australia was International House in Sydney’s Barangaroo by Tzannes. 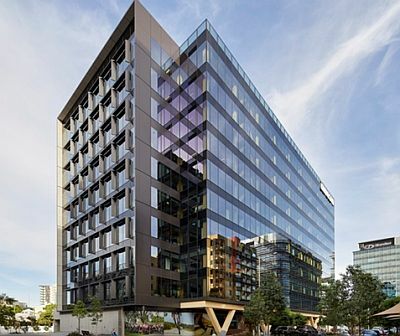 Both buildings were developed by Lendlease, which has developed a number of CLT projects including the Forté apartment building by Lendlease Design and the Library at The Dock, designed by Clare Design with Hayball, in Melbourne. The tower is part of the AU$2.9-billion Brisbane Showgrounds redevelopment in Fortitude Valley. The September quarter 2018 Timber Market Survey (TMS) shows prices for untreated MGP10 and MGP12 products increased between 2.8% and 5.6%, while price movements for treated F7 products were more moderate and within +/- 1.0%. Outdoor treated softwood products continued their recent trend of price rises, increasing between 3.8% and 4.5% over the three months to the end of September. Contrary to many solid timber prices, panel product price movements were mostly downwards, ranging between -2.8% and -0.3%. Particleboard products were the exception to this trend showing moderate price increases over the quarter. Quarterly price movements for all LVL and I-joist/I-beam products monitored by the TMS were upwards and ranged between 1.3% and 1.8%. 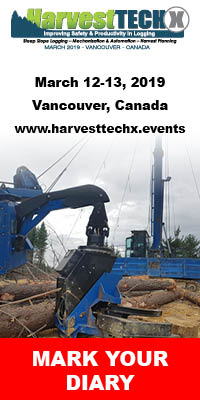 Further information and the latest Timber Market Survey report is available by clicking here. Australia’s national science agency, CSIRO, is investing AU$35M in frontier research in Space Technology and Artificial Intelligence. The investment will include the development of advanced imaging of Earth from satellites, in addition to cutting-edge data science to support the growth of AI technology. The investment is part of CSIRO’s Future Science Platforms (FSP) portfolio, aimed at dedicating research to new and emerging opportunities for Australia. They aim to help reinvent old and create new industries, as well as grow the capability of a new generation of researchers through specially-created student places in these ‘future’ fields. Space Technology and Artificial Intelligence join eight other areas of future science, including in the fields of health and energy. By 2022, the CSIRO Future Science Platforms program will have invested AU$205M since it was launched in 2016. Space Technology will receive AU$16M to identify and develop the science to leapfrog traditional technologies and find new areas for Australian industry to work in. It will initially focus on advanced technologies for Earth observation, and then address challenges such as space object tracking, resource utilisation in space, and developing manufacturing and life support systems for missions to the Moon and Mars. Artificial Intelligence and Machine Learning will receive AU$19M to target AI-driven solutions for areas including food security and quality, health and wellbeing, sustainable energy and resources, resilient and valuable environments, and Australian and regional security. The primary research areas include platforms to improve prediction and understanding of complex data; platforms to enable trustworthy inferences and risk-based decisions; and data systems to enable ethical, robust and scalable AI. 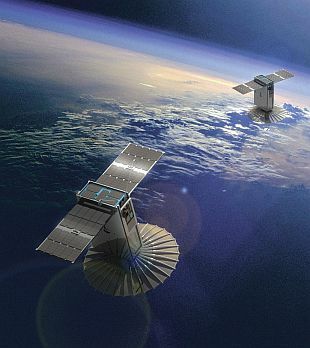 CSIRO’s investment in Space Technology builds on the launch of CSIRO’s Space Roadmap for Australia and supports the newly formed Australian Space Agency’s goal of tripling the size of the domestic space sector to AU$10-12bn by 2030. It will also grow CSIRO’s 75 years of work in space, and role as a leading technology provider to the space sector. A full list of CSIRO’s Future Science Platforms is available here. The Australian Forest Products Association (AFPA) has welcomed the announcements by the Federal, Tasmanian and South Australian Governments, of nearly AU$9 million in combined funding and industry support for the inaugural round of research projects, through the National Institute for Forest Products Innovation (NIFPI), Chief Executive Officer of AFPA, Mr Ross Hampton said. The Launceston NIFPI centre will benefit from a total of AU$5.5 million of contributions for projects, including from industry, while the Mount Gambier NIFPI centre will attract AU$3.3 million through the inaugural round. The Launceston centre’s projects will include research around remotely acquired forestry data, enhancing the durability of Tasmanian hardwoods and developments in engineered structural timber products, while the Mount Gambier centre has new projects that will focus on worker safety, forest water use, forest management and advanced remote sensing. “We know of course that this is just the first round for both centres and that the Federal Government has also announced the establishment of at least two further NIFPI centres through the National Forest Industries Plan” Mr Hampton said. Find out more about the NIFPI recipients and the round one projects here. Southland Youth Futures is a community programme being run in the lower part of New Zealand. It’s linking young people with career and training opportunities in primary sector-related industries - farming, horticulture, forestry, primary processing, manufacturing, trades, environmental monitoring, science and technology, professional support services (farm consulting, accountancy, legal etc), exporting. Local forestry company, Rayonier Matariki, actively supports the programme, as coordinator Allison Beckham explains. “Southland Youth Futures began in mid-2015 and has been growing steadily ever since. We work with almost 60 employers; all 15 secondary schools in Southland (and one in West Otago); training providers; foundation studies providers; industry organisations; local councils; Government agencies. “Rayonier/Matariki Forests’ Southland office is the only forestry company contributing to SYF at present and became an Employer Excellence Partner almost two years ago. Since then Rayonier staff have spoken at 10 school talks reaching 825 students, and hosted two forest tours for a small number of students (there are a few logistical difficulties with forest visits so we keep the numbers small). 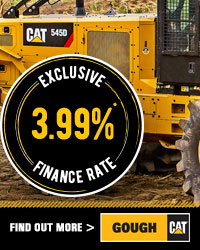 Last year Rayonier also contributed to the cost of bringing a forestry harvesting simulator and operator to Invercargill for CareerFest Southland. 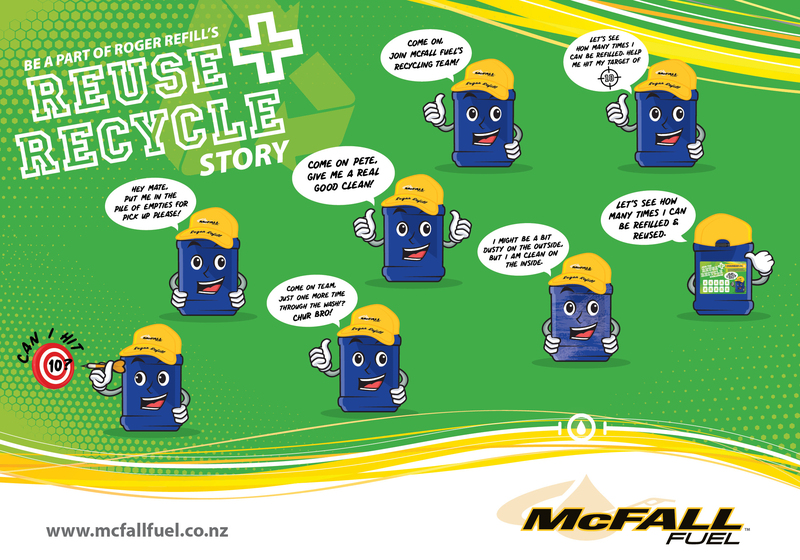 We also travelled to Mosgiel (near Dunedin) and set it up at Taieri College for a few hours. “The aim of our programme is to get young people inspired about a possible career path while they are still in education, hopefully so they do not leave education and fall into the deep black hole of unemployment. Also, there are many employers in Southland very keen to recruit enthusiastic young people, either straight from school or after they have completed tertiary training. Increasingly, the larger companies are identifying school leavers they like and supporting them through apprenticeships or graduate programmes. Southland has a rapidly ageing workforce and we need to ensure there are suitably trained young people coming up through the ranks to take their places”. “We co-ordinate employer talks in schools, and workplace visits. We also do careers expos, interview skills seminars, provide industry information and Southland labour market information and contacts to careers advisers etc, and help employers upskill their recruitment and workplace practices. Over the past few months we have also begun promoting level-entry job opportunities suitable for young people on the SYF Facebook page. I also contribute where I can to industry organisations including the Southern Wood Council”. “This year there have been 16 talks at 15 schools reaching 1375 students. These have involved 56 speakers representing 41 different companies - a pretty good result. This year’s tour has involved taking 178 students and 23 teachers/tutors from 15 schools and foundation education courses to 10 different workplaces ranging from software development offices and the aluminium smelter at Tiwai to a robotic dairy farm and the forest. 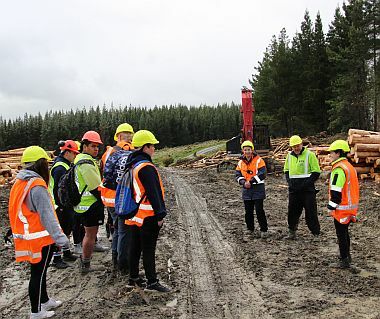 Photo: Staff from Rayonier/Matariki Forests and Fisken Wood show a group of students from Aurora College, Invercargill, a working log harvesting site and talked about career opportunities in forestry operations and management. The Rayonier staff who hosted the group were Acacia Farmery, Hannah Lawson, and Matt Thwaites. Maybe they’re not quite there – but you better believe it – they’re not too far away. A new video from AIST, Japan's National Institute of Advanced Industrial Science and Technology, shows a prototype robot designed to work on construction sites in situations where there is a shortage of human workers. The robot in undeniably slow but also strikingly accurate, suggesting a future where humanoid robots could replace even more human jobs. The prototype demonstration shows the robot, dubbed HRP-5P, picking up a piece of plaster board and screwing it into a wall. This kind of flexible humanoid robot is designed to be able to replicate human motions in complicated construction environments. Industrial automation is rapidly changing the face of modern mass production. While large factory assembly lines are quickly becoming more and more robotic, human workers are still often necessary for many tasks. Aircraft assembly, for example, is one field that has resisted the kind of robotic assembly that has taken over the world of car production. This is because human workers are still needed to crawl and fit in different areas that larger fixed robotic systems simply cannot reach. On-site construction is another field that similarly has resisted easy robotic automation, with human labour still primarily relied upon for the building of houses in situ. Automated brick-laying robots and massive robotic 3D-printers are certainly offering intriguing possibilities for the future of construction but ultimately we still need humans to hammer these buildings together. This new Japanese research is less focused on removing the need for human workers but instead geared towards trying to deal with a problem unique to the island nation. Announcing the new robot, the researchers write: "Along with the declining birth rate and the aging of the population, it is expected that many industries such as the construction industry will fall into serious manual shortages in the future, and it is urgent to solve this problem by robot technology." HRP-5P is not by any means the most advanced robot we have ever seen (the backflipping Atlas from Boston Dynamics arguably shows off a greater dynamic range). However, by directly designing a robot that can carry out heavy manual labour using similar movements to a human, AIST is gesturing toward a future where even more granular construction work can be taken over by robots. 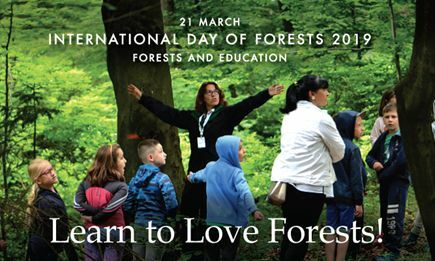 It’s the International Day of Forests on 21 March 2019 and the theme this year is forests and education. To help mark the day, we’re inviting teachers and instructors to send us a short video that shows how they teach future generations about the importance of forests. The winner will travel to Rome on 21 March to help celebrate the International Day of Forests! Deadline for entries is 15 December 2018. 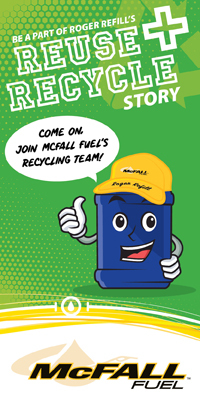 The 2 November issue of Friday Offcuts ran a story entitled ‘Green light for new particle board plant’. This was reproduced from BusinessDesk and the article discussed the recent OIO approval for the Guangxi Fenglin Wood Industry (Fenglin) particle board mill in Kawerau, New Zealand. 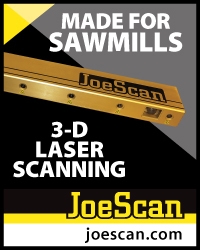 I should add that this statement was based on the domestic sawmilling capacity as at mid-2017. The report highlights that any expansion of the sawmilling base, and corresponding additional production of woodchip, sawdust, and shavings will reduce the impact on overall fibre price. In addition, developing cost effective means of uplifting forest cutover residues would also assist in containing fibre feedstock prices. 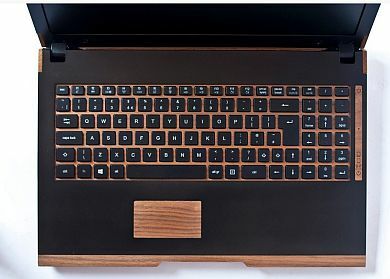 The Irish company, iameco (read it as I Am Eco), known for manufacturing eco-friendly computers and its accessories has recently unveiled a wooden laptop. The new iameco D4R laptop is the first genuine eco-friendly, touchscreen computer built with zero-toxic materials and is configured with high-performing machinery. The iameco laptops are encased in boxes made of natural timber including maple, beech and ash. Further, the company claims that these wooden computers will last three times longer than the traditional setup, counting up to ten years. It added that as the wood gets mature, its appearance will also refine with the age. In addition, the company eliminated all toxic materials used in the usual computer production process like heavy metals including lead, mercury and cadmium and harmful chemicals like brominated flame retardants and PVCs. The iameco laptop utilizes one-third energy than the standard computer design, though featuring similar high-performance capacities. More>>. Sorry the password cannot use more than two upper case characters consecutively.